Do you know that Japan has several wonderful diving spots? As this country consists of thousands of island with a total length of 34,000 km coastlines, Japan might have the advantage of having unique diving spots in the world. In addition, diving spots in Japan have different specialties and sceneries. Either you don’t have any diving experience or professional diver, diving in Japan is something that you have to try. So where is actually the best places for diving in Japan? Yonaguni is one of the islands of Yaeyama Islands chain in Okinawa. It is located 108 kilometers from Taiwan east coast, between East China sea and Pacific ocean. In 1986 local divers discovered an underwater rock formation called “Yonaguni monument”. This site is very famous and had become the most popular diving destination in Japan. 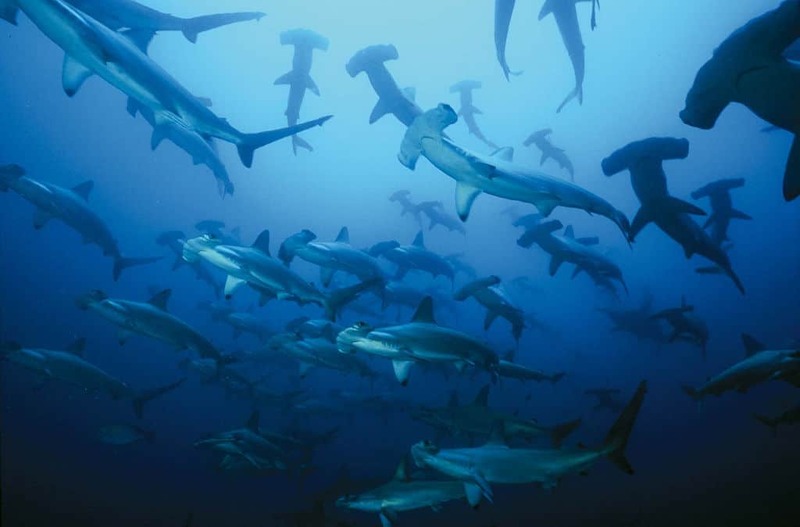 Other than the rock formation, while diving, it is possible to enjoy watching the hammerhead sharks from May until November. Izu Peninsula is located in Shizuoka prefecture, 100 km from Tokyo. Scuba diving in Izu peninsula can be done in Jogashima, Osezaki and Yawatano. Izu peninsula boasts its crystal underwater, and exotic fish and marine animals like colorful hinge beak shrimp, young dragon moray, lionfish, etc. Zamami is one of the best places in Okinawa for diving. Zamami is a tiny island but giving a tremendous opportunity to explore the underwater life. Corals and fishes are famous for their beauty. Another point, Zamami is really concerned by the preservation of whales. The visitor of this island will have an opportunity to spot humpback whales in the surrounding waters. Ishigaki is located in Yaeyama Islands in Okinawa. 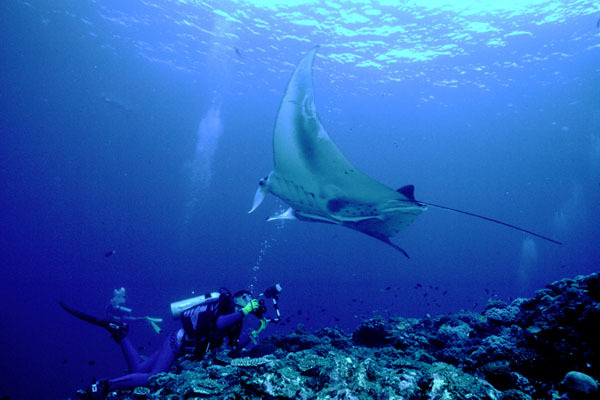 Ishigaki has beautiful manta rays that attract divers from all countries. The best time to see mantas is in Autumn. Manta scramble is the name for Ishigaki. It consists of an area of coral reef, sub-tropical anemones, sea plants and feeder fishes that are parasites living the skin of manta rays. Akajima is one of the most beautiful islands in Kerama Island chains in Okinawa. The remote beaches and lush forest make the island still looking savage. 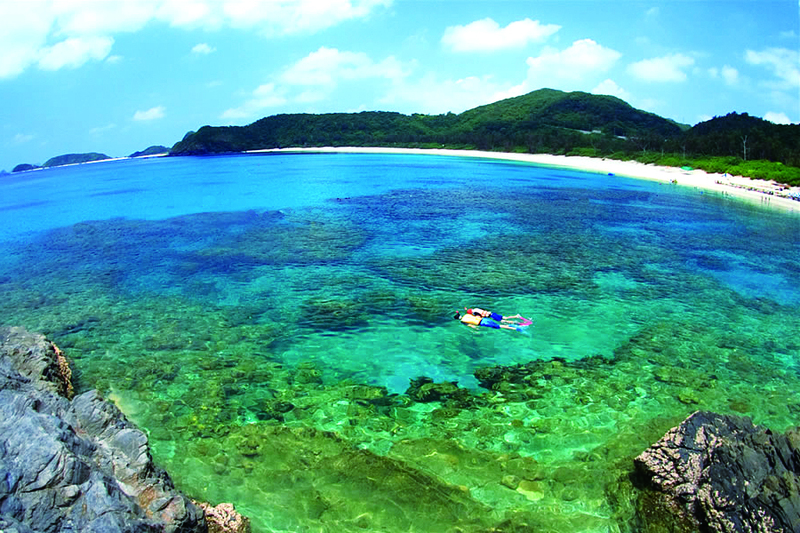 Around Akajima Island, you can spot manta rays and swim with turtles. Meet the Adorable Japanese Character Kapibara-san !